 Current Trends in Natural Sciences by University of Pitesti is licensed under a Creative Commons Attribution-NonCommercial-ShareAlike 4.0 International License. Based on a work at http://www.natsci.upit.ro. 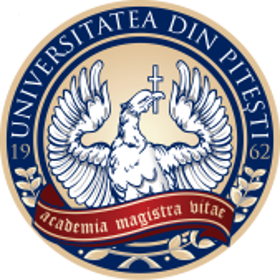 Permissions beyond the scope of this license may be available at http://www.natsci.upit.ro. CTNS tries to be a stimulus and a dissemination instrumentfor the research activity of Romanian and foreign investigators. The aim of CTNS is to publish articles in: biology, ecology and environmental protection, soil science, land measurements and land improvements, horticulture (fruit growing, viticulture, vegetable growing, floriculture etc), articles that promote the quality of life, as well as the findings of interdisciplinary research in natural sciences. 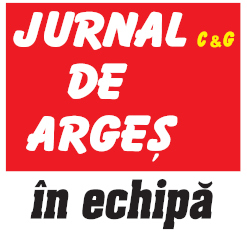 The Journal also aims to facilitate and enhance communication across all the sub-disciplines of the natural sciences. GOOGLE SCHOLAR provides a simple way to broadly search for scholarly literature. From one place, you can search across many disciplines and sources: articles, theses, books, abstracts and court opinions, from academic publishers, professional societies, online repositories, universities and other web sites. Google Scholar helps you find relevant work across the world of scholarly research. Articles published in the journal CTNS are automatically included in Google Scholar. CURRENT TRENDS IN NATURAL SCIENCES is included in SCIPIO. INDEX COPERNICUS INTERNATIONAL is an international, specialized platform for promoting scientific achievements, as well as supporting national and international collaboration between scientists, publishers of scientific journals and scientific entities (www.indexcopernicus.com ). CURRENT TRENDS IN NATURAL SCIECNES is indexed in the international database Index Copernicus Journal Master List. DOAJ – DIRECTORY OF OPEN ACCES JOURNALS – is an online directory that indexes and provides access to high quality, open access, peer-reviewed journals. CURRENT TRENDS IN NATURAL SCIECNES is indexed in DOAJ. CAB Abstracts is the leading English-language bibliographic information service providing access to the world’s applied life sciences literature (agriculture, environment, veterinary sciences, applied economics, food science and nutrition). CURRENT TRENDS IN NATURAL SCIECNES is indexed in CAB Abstracts. Mission – Current Trends in Natural Sciences is an electronic journal that aims to offer easy access to the scientific knowledge of NATURAL SCIENCES. Current Trends in Natural Sciences is a peer-reviewed scientific journal. The journal provides open access to its content - all published articles are accessible in PDF format free of charge.Current Trends in Natural Sciences is an official publication of the Faculty of Sciences at the University of Pitesti, intended to make research results in the fields of Science & Technology and Health Sciences available. Articles will be contributed by faculty members as well as by specialists from other Romanian and foreign institutions. Scope - The main objective of CTNS is to reunite specialists from different fields, such as botany, zoology, physiology, genetics, biotechnology, horticulture, environmental protection, soil science, land measurements and land improvements, biology, ecology, biochemistry, education, health and nutrition. The journal encourages the publication of the results of interdisciplinary research and studies in natural sciences as well the publication of articles about the quality of life. Researchers from areas related to biology, biochemistry, ecology, medicine, horticulture and land improvements will be invited to publish the latest information they have gathered and the results of their research. The target group will be made up of academic researchers, specialists from research institutes, teachers, psychologists, nutritionists, and other specialists involved in the field of natural sciences. CTNS publish original papers, presenting results of recent theoretical and experimental researches, as well as reviews and technical notes. The language of publication is English. It is the responsibility of each author to ensure that the papers submitted to the CTNS are written respecting ethical standards regarding plagiarism, dual publication and figure manipulation. The authors are exclusively responsible for the content of their articles submitted to CTNS and also for the validity of the experimental results. The full papers for publication in Current Trends in Natural Sciences will be written in English. Instructions for authors are available here. The Publication and Copyright Transfer Agreement, available here, completed and signed (in blue ink) by the corresponding author, shall be submitted to the Journal “Current Trends in Natural Sciences”, before the paper can be considered for publication. Please scan the agreement and send it by email to b_science_upit@yahoo.com. Peer review process: The peer reviewers of articles submitted to CURRENT TRENDS IN NATURAL SCIENCES are members of the journal's editorial board and other experts in the area covered by each article. To increase the transparency of each peer review, the Editorial Board of CURRENT TRENDS IN NATURAL SCIENCES has prepared a Review Form on which the reviewer evaluates articles.